Nowadays we appear to have less time to fit everything in to our day or week. We can find ourselves running around like headless chickens! In today’s blog I am going to discuss Adrenal Fatigue and how common it really is. Adrenal fatigue is a collection of symptoms classed as a syndrome. Conventional medicine doesn’t recognise Adrenal fatigue as a condition. But eventually they will start to take note because this collection of symptoms are presenting themselves more and more to men, women and children. They cannot ignored the facts that the numbers are rising, with over 80% of Americans suffering with it. When you undergo stress for a considerable amount of time, your mind and body are impacted greatly. Your adrenal glands have to keep firing cortisol, which is the hormone created for the ‘fight or flight’ response. When your adrenals are constantly ‘under the pump’ with stress, your adrenal glands reach exhaustion point and stop working efficiently. What are some of the triggers which lead to Adrenal Fatigue? With so many distractions and social media, many people are looking at their mobile devices until late at night. This leads to one’s mind being ‘switched on’ when they should actually be preparing for sleep. The result of this situation is that the adrenals work over time to produce increased amounts of stress hormones. We need nutrients in our diet to support adrenal function. But unfortunately fast food has become a regular food choice for many adults and children. Pre-prepared and processed foods will not help your adrenals function to an optimum level. This will cause the adrenals to fall into a crisis situation. The consumption of foods high in sugar, salt and carbohydrates will put a strain on your adrenals and in turn your entire endocrine (hormonal) system. When your hormones are out of sync, mineral absorption is non existent and mineral loss is evident. When you feel stressed you may find you crave chocolate. When you are stressed and run down your body can be low in magnesium. So the craving for chocolate can be greater because we find the magnesium surge helpful to our hormones. But there is also another surge we gain from chocolate and that is dopamine. It is the pleasure hormone and spikes when we consume food or drink with chemicals which have an immediate effect on our mood. So the unfortunate side to chocolate is that it contains caffeine and a caffeine like substance called theobromine. Together they over stimulate your adrenals, resulting in further adrenal fatigue. So if you have a chocolate craving, think somatically. It is a signal from your body that you are deficient in magnesium. To stabilise your magnesium levels, try supplementing your diet with 400mg of magnesium citrate each day. It is readily available, easily absorbed and very effective. Constantly pushing yourself, perfectionism and a lack of enjoyable, recreational activities. When we push ourselves to sheer exhaustion, we just crash and burn. Often this type of behaviour is called High Functioning Anxiety. The type of personality that has to push harder to prove to themselves and others that they can take a million things on at a time and still come out looking victorious. Right? No, completely wrong. This is basically pressing the self destruct button on your emotional, mental and physical health. This is where once again we need to develop a somatic attitude and lifestyle. It is really important to sit down with either a pen and paper or with your computer and write down which things in life are contributing towards your health and what is detrimental to your health. You need to DESIGN your life so that you are in control of it rather than it spiraling out of control and you are the casualty. Maybe you could draw two columns, one column labelled “negative impact on my health” and the other column “positive impact on my health.” Include diet, exercise, work/life balance, relationships, sleep patterns, empowering or dis-empowering beliefs and anything else you feel is applicable. There are many other triggers but I find the ones I have listed are very common in my clinical practice. Remember Adrenal fatigue impacts on your entire endocrine (hormonal) system. So once you get your adrenals under healthy control, you can improve your fertility, sleep patterns and mood. So how can we be somatic with our approach to Adrenal fatigue? 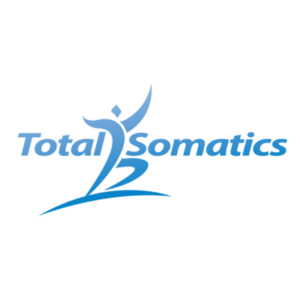 Total Somatics aims to educate and empower people with knowledge and a skill set so they can regain control of their health and well being. So by developing a somatic lifestyle and attitude, we can live a healthy life which we control rather than habits and addictive behaviours controlling us. By seeking a naturopath or an integrative health practitioner to test and prescribe relevant supplements and foods to help heal from the inside out; we can start taking positive steps towards a healthier life. But we also know other lifestyle behaviours must change in order to create equilibrium within our SOMA or mind and body. So looking at the amount of caffeine we consume and whether we have to rely on coffee or other caffeine based products to “get us started’ in the morning or throughout the day is a huge alarm bell towards informing us of our adrenal health. The more somatically aware we become of our soma/body/mind and the feedback it is telling us, we can begin to fine tune our diet and priorities in life. We may need to see a clinical psychologist to deal with the root cause of the reason we have high functioning anxiety. This is not a weakness, rather when we learn to pace ourselves, we can give so much more and with better quality and content. Remember Rome wasn’t built in a day and it’s not the end of the world if you don’t get all your “to do” jobs complete by a certain date. You are better to get an extra hour of sleep than work through the night and feel absolutely rotten the next day, living on coffee to get you through the day. Develop Somatic movement into your daily life. 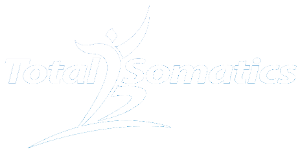 Total Somatics has been created to work with you and help you BUILD somatics into your life, not FIT IT IN. My online programs will teach you how to practise mindful somatic movement, deep restorative breathing, mindfulness skills, mindset and lifestyle advice. Total Somatics has become an integral part of thousands of peoples’ lifestyles around the globe. One client commented to me this week that she has been able to stop taking her melatonin tablets because she is sleeping well, thanks to practising somatics daily for the last 4 weeks. She is feeling more centred and empowered with these life changing skills and knowledge. She is no longer living in the ‘fight or flight’ stress response. She has dampened down her cortisol levels which are created from her adrenal glands. Have you any tips for how you can persuade a person with Parkinsons just beginning to get dementia and with the most appallingly bad kinesthetic sense to work with Somatics? I think he must be taught by someone else, not me, as he will not take it from me!!! My husband that is. I know I am now getting adrenal fatique having read your latest blog!